Is a Chilean and Italian sculptress. She studied sculpture in Santiago and Munich. The focus of her work lies on the interrelation between space, time and matter, and the laws of motion. The immense sources of natural energy and driving forces of the technological world inspire the sculptor. She investigates and registers the rhythms of dynamic shifts – the endless change of structures. Ruddoff encaptures transformation processes in the space-time-continuum, where dynamism as a physical force of nature becomes visible. Her work materializes stopped time and ‘frozen’ movement. Ruddoff won numerous scholarships and prizes. 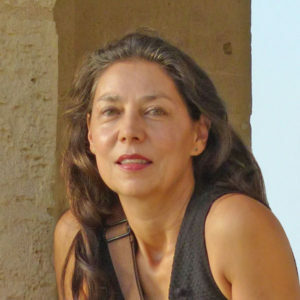 Her work has been exhibited both nationally and internationally, including at the National Museum of Fine Arts in Santiago. She has been teaching at various arts academies since 2000. Ruddoff came to Berlin in 2009, where she now lives and works as a free artist.